When Fredric Jameson was selected as the winner of the Modern Language Association’s sixth Award for Lifetime Scholarly Achievement in 2011, his reply was (of course) dialectical; he told an interviewer that winning a lifetime achievement award was “a little alarming” while at the same time it was “very nice to have the recognition.” (This kind of double-edged honour was perhaps becoming a bit of a pattern for Jameson; he’d just won the prestigious Holberg International Memorial Prize in 2008.) One wonders then how Jameson might feel about the recent publication of two monograph-length retrospectives on his career, both written by former students: Wegner is a former graduate student of Jameson’s at the Program in Literature, while Tally took his classes as an undergraduate at Duke. I am a former graduate student of Jameson’s, too, as is one of the editors of Reviews in Cultural Theory—making my own writing of this review feel unexpectedly difficult, even uncomfortable, or perhaps ever so slightly incestuous. It’s hard not to feel the unhappy pull of eulogy as I write—something I am trying very hard to refuse, just as one can sense Wegner and Tally refusing it in their books—as well as a strong urge to slip into old habits of familiarity (after knowing him a decade, I can only think of him as “Fred”) and anxiety (I wonder how he’ll feel about this unusual and probably ill-advised opening paragraph, if he reads it at all). Over the years, Jameson’s students have come to form an odd kind of international family tree, an immense, looping network of child-scholars and grandchild-scholars and aunt-and-uncle-scholars and niece-and-nephew-scholars, all linking back to Fred—Jameson—as its affable and ineffable head. So much of my response to these books feels personal rather than properly scholarly—familial, somehow. In his own introduction, Wegner highlights that inevitable second stage of the student-teacher interaction, the striking out on one’s own; he titles the chapter “Betraying Jameson.” The title cleverly alludes to the kind of Oedipal “anxiety of influence” / “kill the father” betrayal that commonly follows a close working relationship like that of supervisor-dissertator, a category Wegner nonetheless refuses; he is speaking instead of the sort of dialectic of fidelity and betrayal that one might find in Alain Badiou or Slavoj Žižek. “The true betrayal,” Wegner quotes Žižek, “is an ethico-theoretical act of the highest fidelity; one has to betray the letter of Kant in order to remain faithful to (and repeat) the ‘spirit’ of his thought” (qtd. in Wegner 3). In some sense that kind of faithful betrayal, or betraying fidelity, is the inevitable task of any intellectual history, Tally and Wegner’s projects included: each seeks to synthesize Jameson’s fifty-year career (and famously formidable body of work) into a single, stand-alone volume, an ambition which will necessarily always be an act of both distillation and dilution. But the methodological differences between the books—or, I would perhaps suggest instead, their necessary dialectical synthesis—can be seen in the distinct stances they take towards this key proposition. The time-out-of-joint character of Jameson’s work is surely a key component of both its difficulty and its charm; Jameson is at once at the cutting edge of theory and weirdly old-fashioned, with one foot in Wagnerian operatics and the other in the outer-space colonies of Kim Stanley Robinson (yet another of Jameson’s students, incidentally, out there in the world). Tally takes this more obscure, even mystical quality of Jameson’s writing to heart in his own construction of Jameson-in-miniature: early on he warns his reader not to expect “any easily maintained précis of his key ideas, assuming such a thing is even possible” but instead to take his book as an “adventurer’s guide for those who, through reading his books, wish to accompany Jameson in the adventures of the dialectic” (5). The unfinished, or unfinishable, nature of Jameson’s writing is for Tally precisely the source of its vitality; like the totalizing system of global capitalism with which Jameson is so preoccupied, we might focus on this or that map of Jameson’s system, or this or that portion of it, without ever quite being able to grasp the whole thing in our minds. For Tally the dialectic’s unrealizable requirement to “say everything simultaneously” is the secret key to understanding Jameson—it produces the crucial elements of both Jameson’s system and his style. Most of all it produces Jameson’s career-long interest in utopia, which for Tally is as much an ontological proposition as a political one. Quoting Jameson’s reading of utopia (as distinct from both dystopia and anti-utopia) in The Seeds of Time (1994), Tally notes that for Jameson utopia is a by-product of his brand of totalizing philosophical thinking: “the thinking of totality itself—the urgent feeling of the presence all around us of some overarching system that we can at least name—has the palpable benefit of forcing us to conceive of at least the possibility of other alternate systems, something we can now identity as our old friend Utopian thinking” (qtd. in Tally 114). Rather than the sort of “utopia of failure” with which Jameson is sometimes associated—the dream that not only never materializes but cannot even be thought except sideways, out of the corner of our eye—Tally reads utopia as a kind of emergent property of philosophy itself, the not-quite-thinkable dream of philosophy’s final completion—a “meditation on the impossible” (154). Utopia therefore exhibits the precise out-of-time quality that characterizes so much of Jameson’s project: is it a prophecy, or a half-recalled memory, or some crafty inhuman thing that dashes of sight every time you catch a glimpse of it in your peripheral vision, or a synaesthetic hallucination, or a religion, or… ? Wegner’s book begins, as I have noted, with the same observation about the dialectic and totality from Marxism and Form, applied again to Jameson’s own career—the feeling that, as Wegner puts it, “in order to grasp any particular point [Jameson] makes, it is as if we need to have the whole of his work before us” (xv). But Wegner’s project, at approximately twice the length of Tally’s and more clearly pitched at a specialist rather than a generalist audience, is much less willing to privilege the unclosed (or unclosable) aspects of Jameson’s work. Instead Wegner is inclined to focus on each book in Jameson’s opus as a “unique historical event,” an “encounter” (212), and only then to explore what sort of totality might emerge from their sum. Thus, while Wegner’s Jameson remains of course highly dialectical in his thinking—and Wegner singles out for particular criticism the critics who attempt to take one idea or even one sentence from Jameson and mistake that one part for the whole—at the same time Jameson’s “implicit” injunction to “always totalize” seems to emphasize this goal’s tantalizing possibility rather than its impossibility, its radical and inevitable incompleteness. Paradoxically, for Wegner the way we can actually access this synchronic, overarching “aspiration to totality” is precisely through the “diachronic perspective, wherein each individual text is understood as one point within another larger narrative sequence” (xxiii-xxiv). 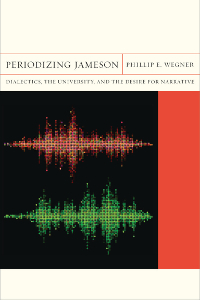 Hence the title of Wegner’s project: Periodizing Jameson. Thus we have dialectical intellectual history: both books are framed as stand-alone units which nonetheless stack together in a train. Wegner’s gambit is to frame this pattern in Jameson’s work with the same triad Jameson uses to diagnose history: realism, modernism, postmodernism. Jameson’s work becomes, in itself, a kind of progressive unfurling, even “stages” towards a final future completion that is still to come, as opposed to Tally’s vision of multiple lines of attack on a singular goal. The movement of Jameson’s trajectory has, or can be said to have, its own internal logic, even as this or that individual work is better read in isolation as a unity. The interplay between “historical process (always historicize! )” and “social totality (always totalize! )” becomes for Wegner the dialectical engine that drives Jameson’s work (31). The result takes us back towards Tally’s focus on the relationship between unclosability and utopia, but here framed as more of an intellectual problem for Jameson’s project than as its telos. We might recall the foundational gesture of More’s Utopia was the digging of the deep trench that severed the peninsula from the mainland and turned it into an island, an act of enclosure; in some sense Jameson’s work persistently resists any parallel gesture of narrative closure even as it consistently points towards it. Jameson’s most recent writing, which “struggles to put the question of Utopia back on the table precisely in a moment that seems allergic to such radical totalizing visions,” can ultimately conceive of the project only in negative terms: “utopia as a form is not the representation of radical alternatives; it is rather simply the imperative to imagine them” (Archaeologies 416). Thus we see in Jameson’s recent writings utopian turns that in the hands of another thinker would seem utterly bizarre: the quasi-accelerationist vision of Wal-Mart (of all things) as Utopia in Valences of the Dialectic, or of the U.S. Army (even worse!) as Utopia in recent talks at the Society for Utopian Studies and the Marxist Literary Group. Jameson seems from this perspective to be wriggling out of his own trap, refusing in some sense to reach his own named final destination (or, at least, not just yet). Wegner ends with an extended meditation on precisely this problem, smartly drawing on Jameson’s Representing Capital (2011) and his observation that Kapital is both “finished and unfinished all at once. What this means in fact is that we can expect both boundaries and lines of flight simultaneously, climaxes along with unfinished business” (qtd in Wegner 211). Jameson’s work, particularly his late work, presents itself to us in similar terms, even in the too-soon untimeliness of texts like Wegner’s and Tally’s, which attempt to somehow lasso the entire “legacy” of Jameson even as “it continues to grow in nuance and complexity” as Jameson himself continues to write (Wegner 213). For its part, Tally’s conclusion (which similarly turns to Representing Capital) points towards one way we might try to follow Jameson by not following him, by highlighting his skill as a reader. Jameson’s method requires constant reference to the works of others, from Hegel and Marx through Freud, Lacan, Greimas, Adorno, Benjamin, and on and on, all closely read but repurposed for Jameson’s ends. Jameson’s model of the dialectic thinking as “thought to the second power” is his model for dialectical reading as well (157). 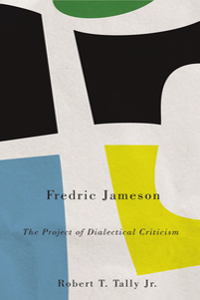 The call of The Project of Dialectical Criticism and Periodizing Jameson (especially when taken, dialectically, together) is that Jameson himself is now permanently ensconced in that vast canon of writers whose writing will be referenced, cited, borrowed, plagiarized, stolen, glossed, collaged, remixed, reimagined, shorthanded, selectively interpreted, and deliberately but productively misread by the scholars of the future, as the struggle continues and the work goes on. —. Marxism and Form. Princeton, N.J.: Princeton University Press, 1974. —. Representing Capital: A Reading of Volume 1. London, New York: Verso, 2011. —. The Seeds of Time. New York: Columbia University Press, 1994. Gerry Canavan is an assistant professor of twentieth- and twenty-first-century literature in the Department of English at Marquette University. His first critical monograph, on the work of legendary African-American science fiction writer Octavia E. Butler, will appear this fall from University of Illinois Press.